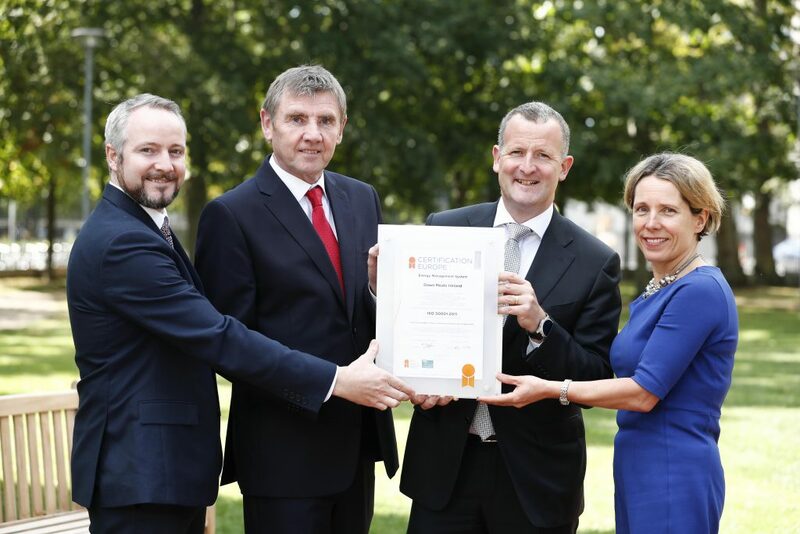 Dawn Meats has been awarded an ISO 50001 energy management certification for its work in Ireland to hit sustainability targets of reducing its energy intensity by 40% by 2025. The award by Certification Europe recognises Dawn’s comprehensive energy management system across eight of its Irish processing sites. Jim Gannon (left), Gerry Kelly, Niall Browne, and Tara McCarthy (right) pictured at the offices of the SEAI in Wilton Place. Energy audits were conducted across each location and are being used as the baseline against which future reductions will be measured through a series of improvements including heat recovery systems and investment in low energy infrastructure. Dawn’s Group sustainability targets and commitments for 2025 include reducing energy and water intensity by 40% and CO2 emissions intensity by 50%. 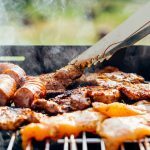 The sites vary in activity type ranging from beef and lamb primary processing, to production of retail ready fresh and frozen consumer packs and processing of animal by-products. 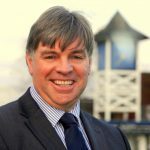 Niall Browne CEO Dawn Meats commented: “The team at Dawn Meats underwent a rigorous audit process with Certification Europe to progress our ambition to be Europe’s most sustainable meat company. Jim Gannon CEO Sustainable Energy Authority of Ireland (SEAI) also commented: “In taking a structured approach to energy management, organisations like Dawn Meats have direct sight of what cost savings can be delivered. The award was presented to Dawn Meats CEO Niall Browne by Gerry Kelly, finance director certification Europe at the Dublin offices of the SEAI.